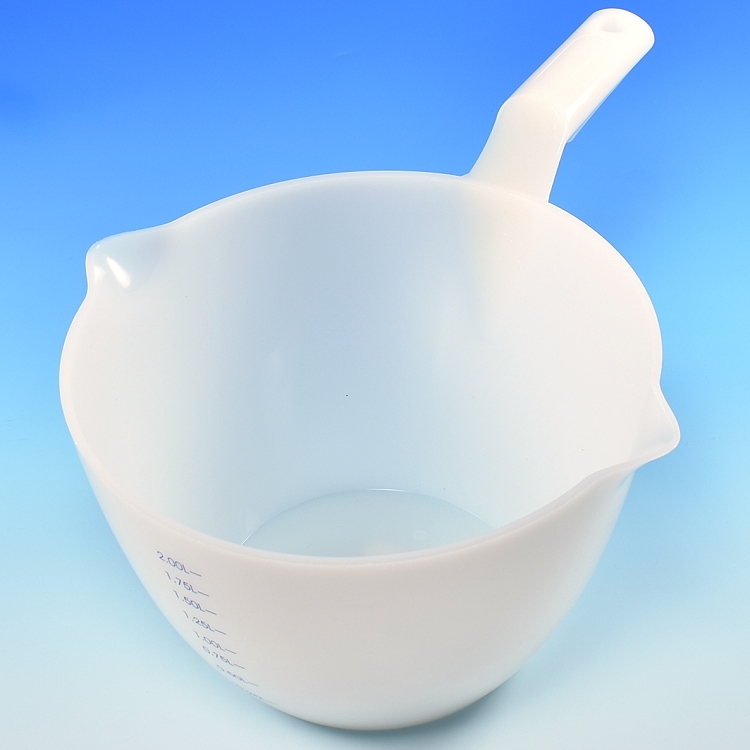 Plastic Measuring Bowl with Handle, is a must have for any kitchen! 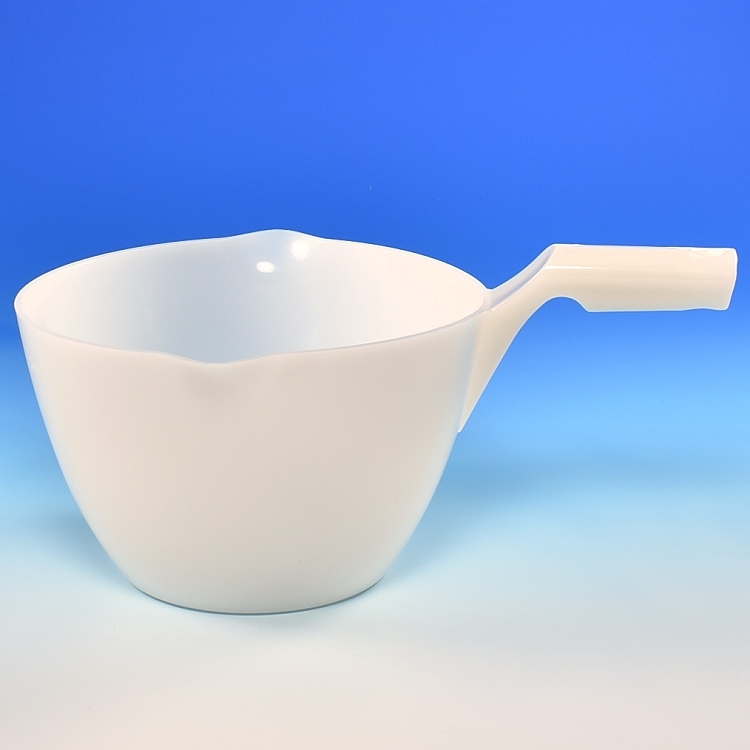 This unique design combines a measuring bowl with an ergonomic handle. Allows for effortless handling, mixing and pouring. Ideal tool for hand tempering small batches of chocolate. Measurements embossed on the inside of bowl and printed on outside of bowl - .25 liter increments. Diameter 7 1/2", height 5"